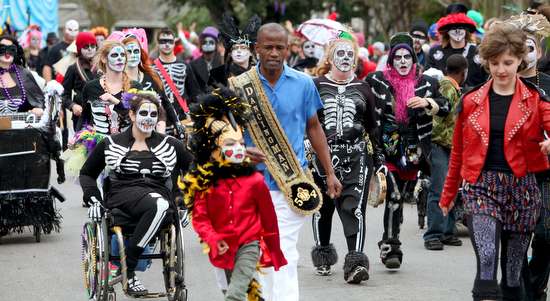 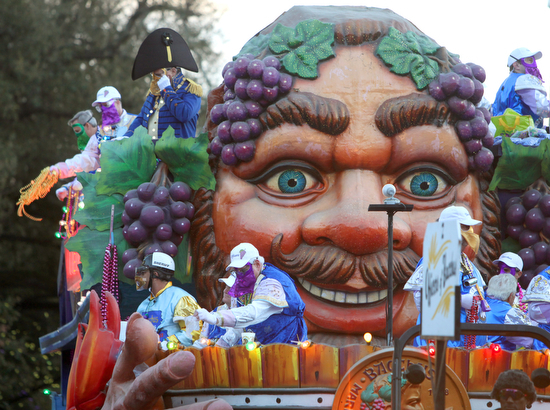 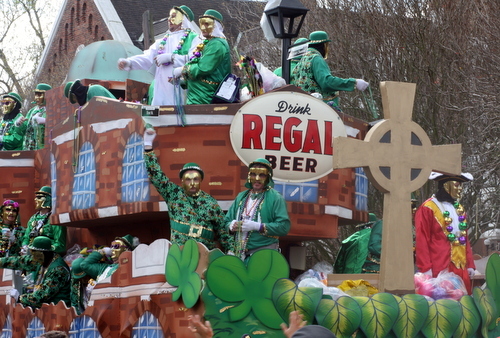 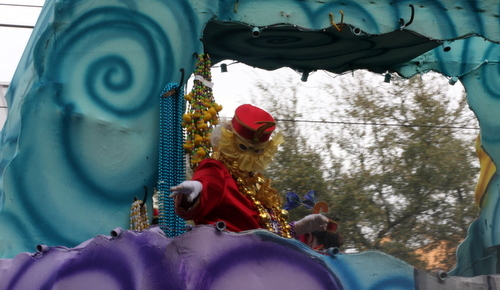 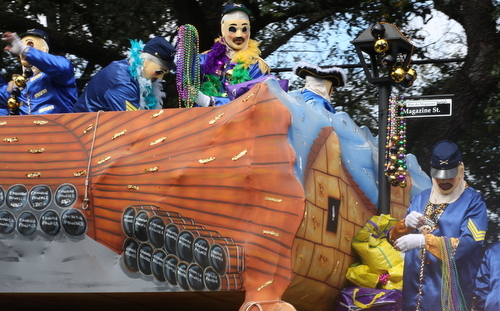 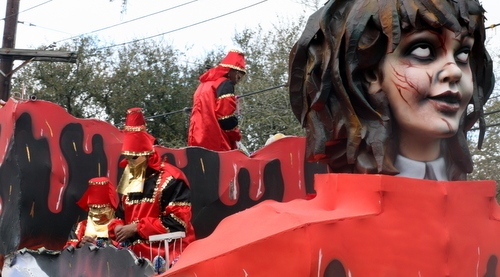 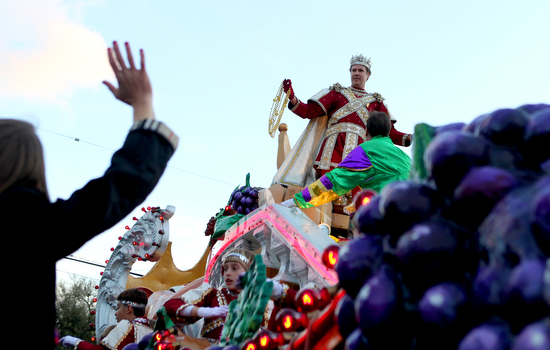 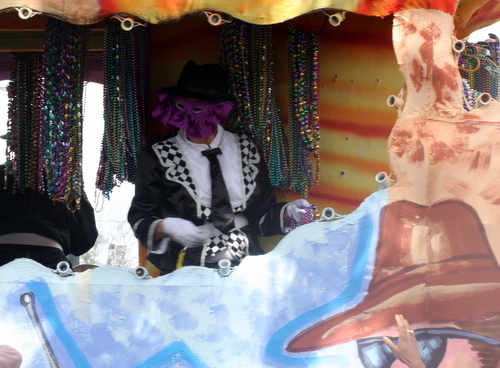 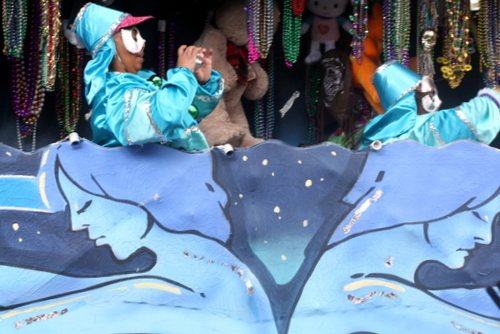 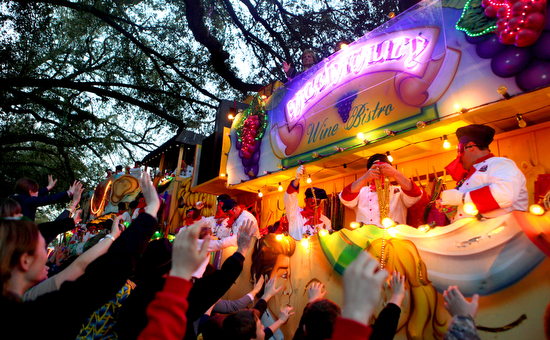 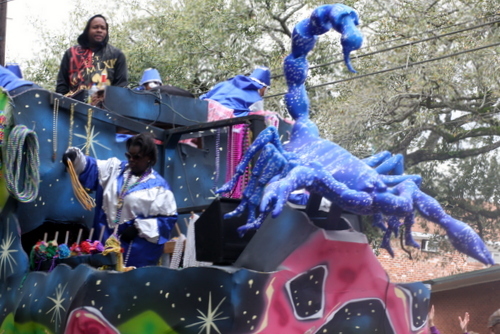 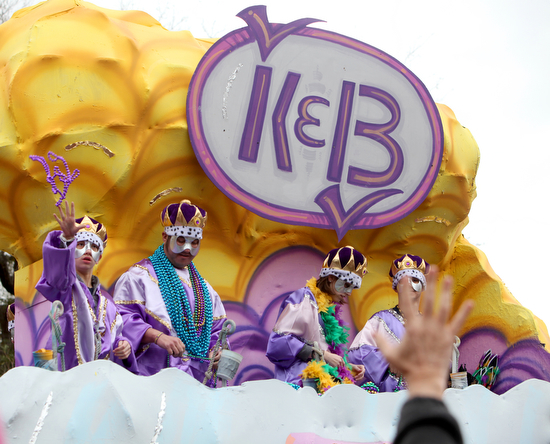 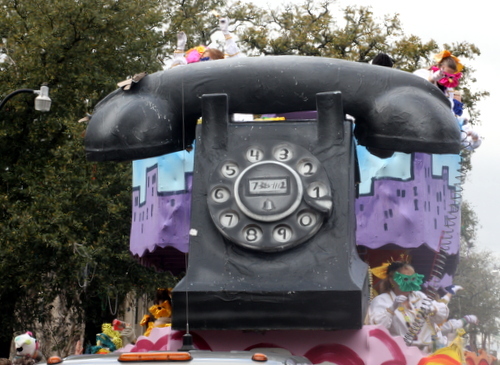 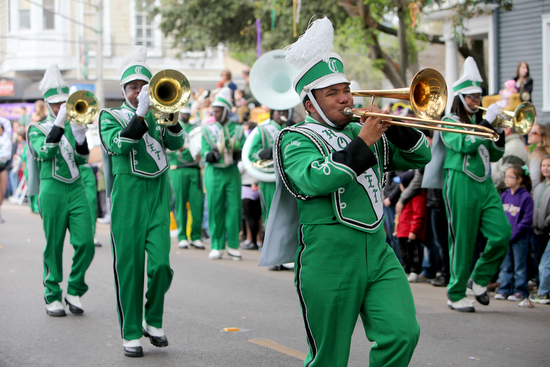 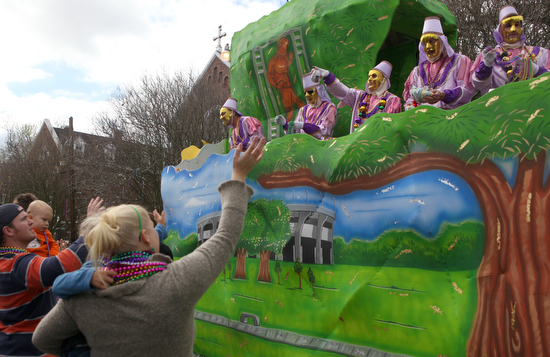 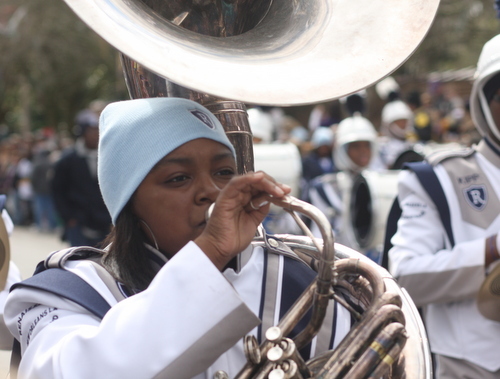 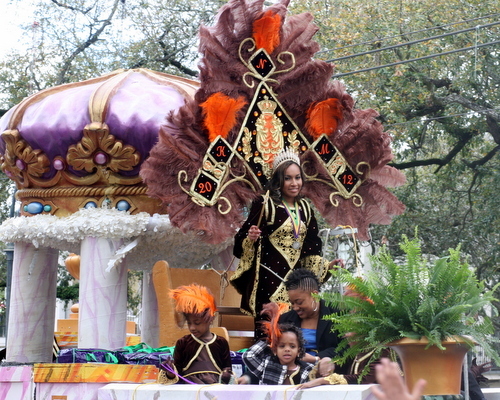 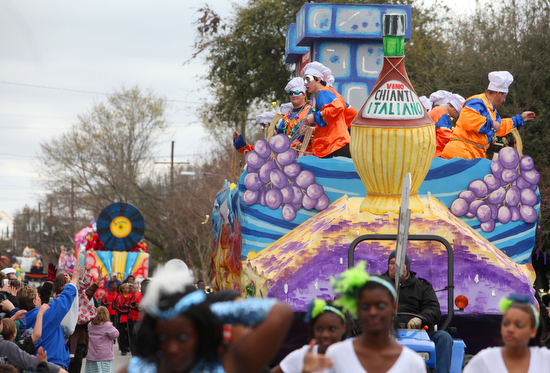 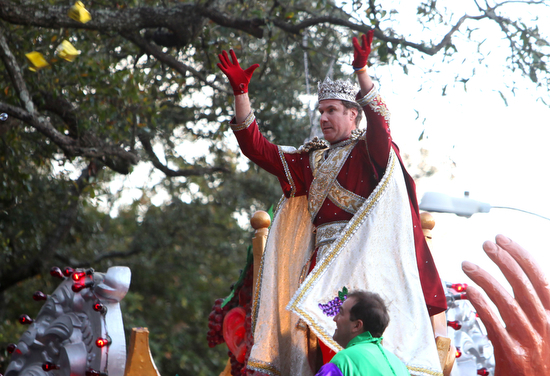 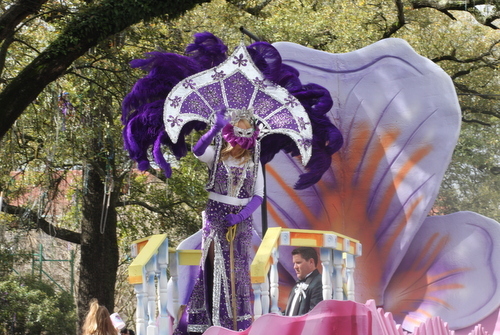 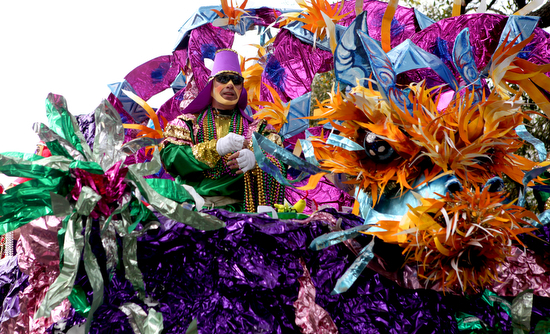 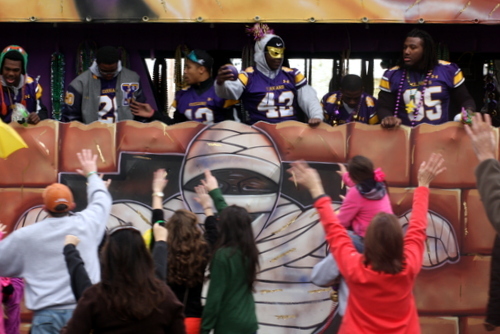 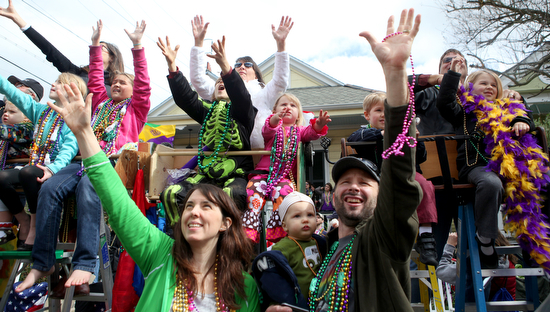 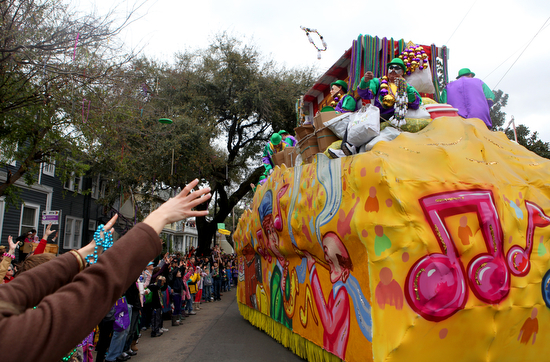 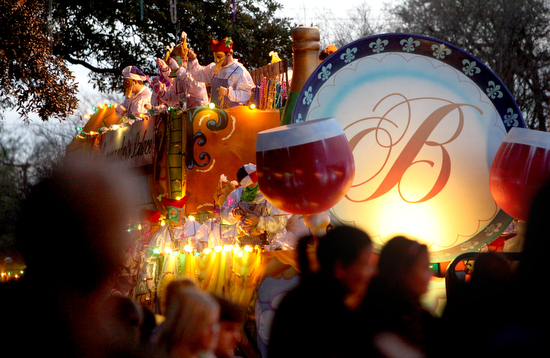 After Saturday’s cancellations, Uptown parade-goers were treated to a total of six parades Sunday — five in the morning, and the superkrewe Bacchus in the evening — with dense crowds along the entirety of each route. 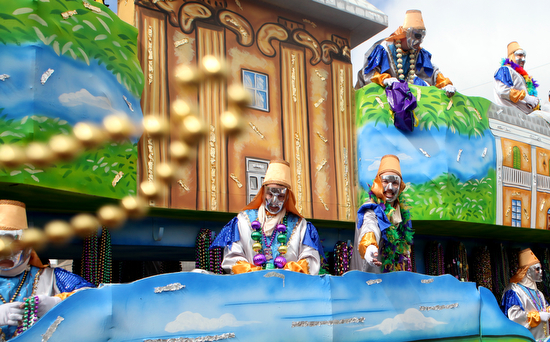 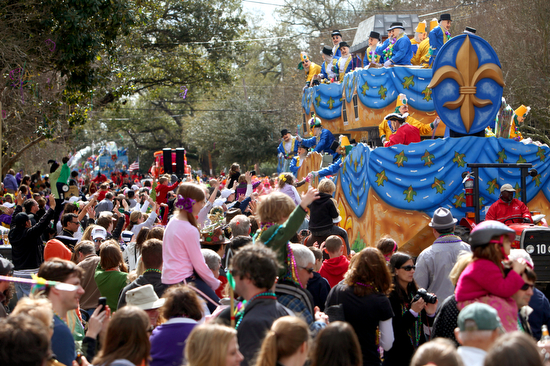 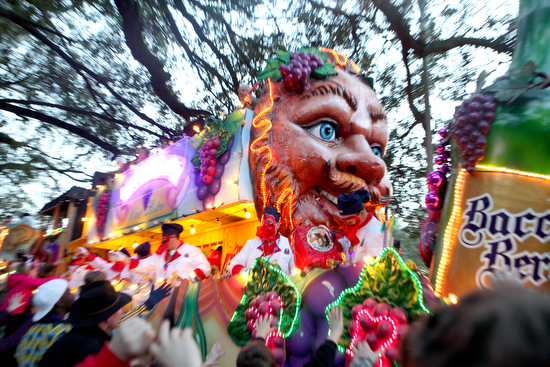 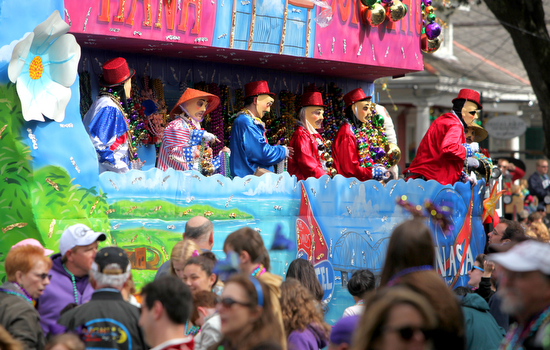 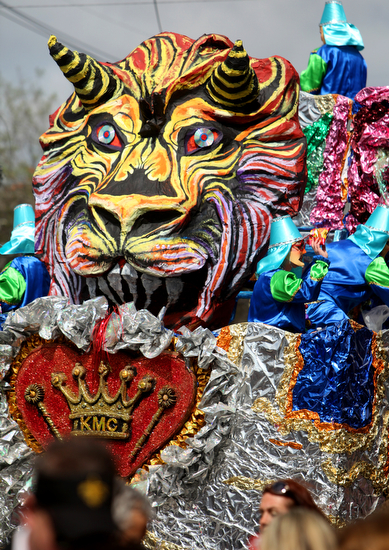 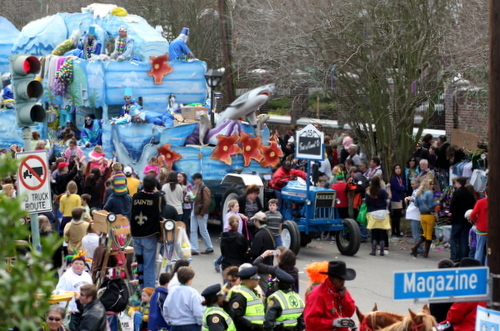 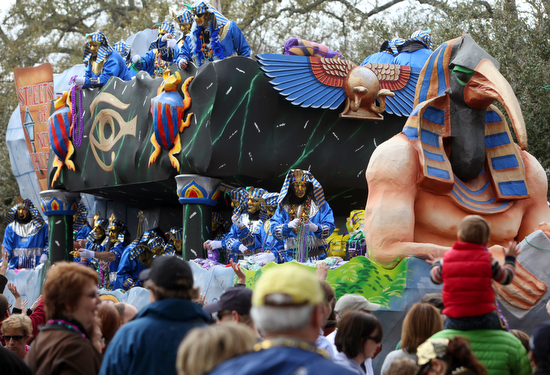 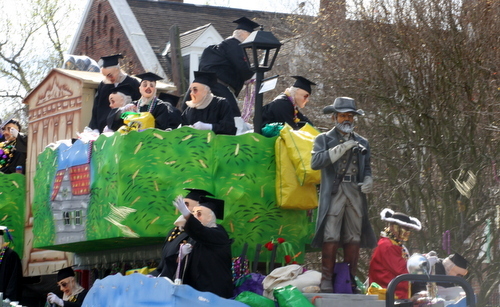 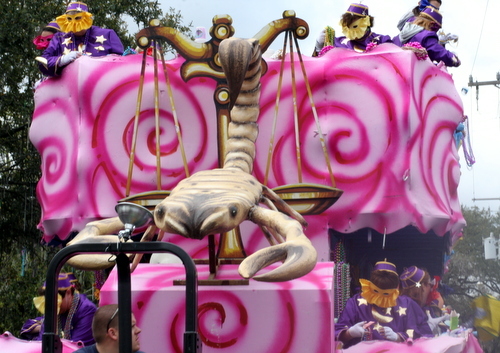 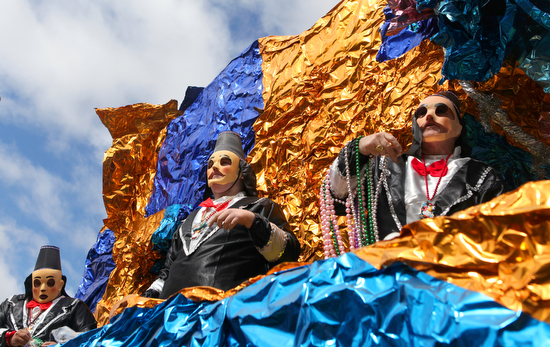 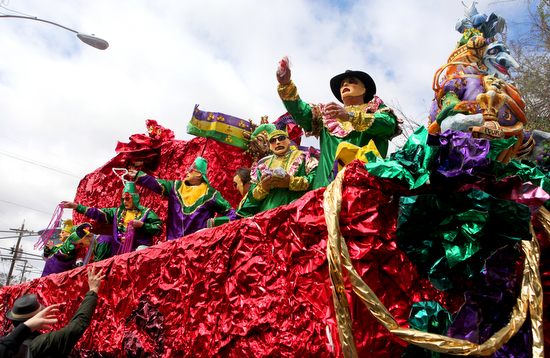 See our live coverage of the parade below from Twitter using the hashtags #NOMTOC, #Iris, #Okeanos, #MidCity, #Thoth and #Bacchus. 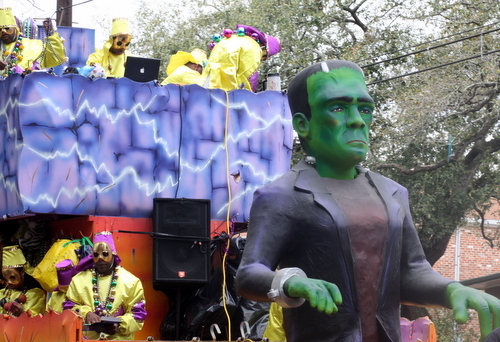 Was anyone else around Amelia and St. Charles during the parade? 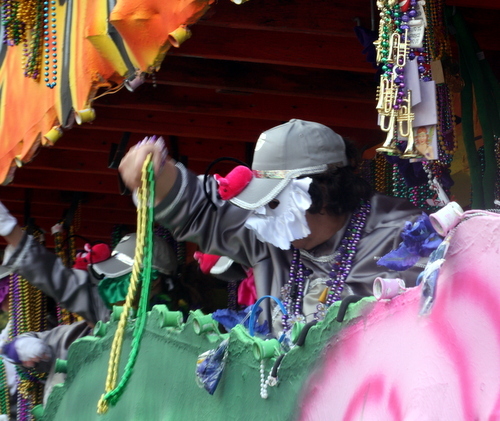 The uptown teens who congregate there were totally wilding out. 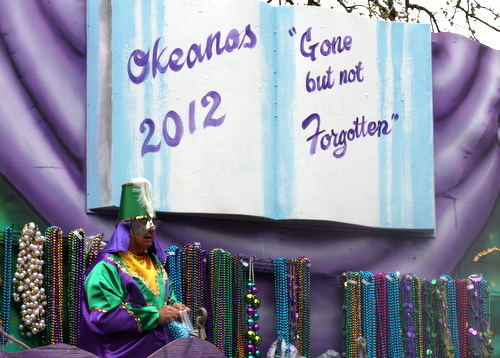 Whats more, the police acted as if they were afraid to do anything about it. 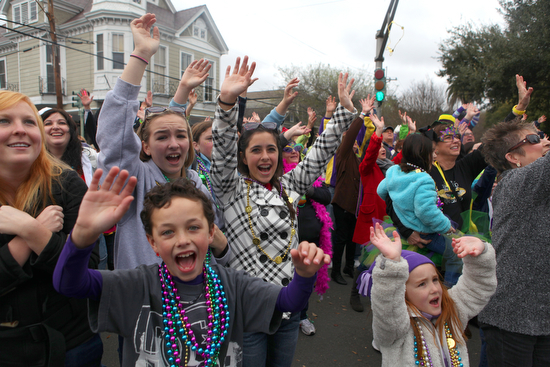 These kids run amuck every year and the cops never do anything about it. 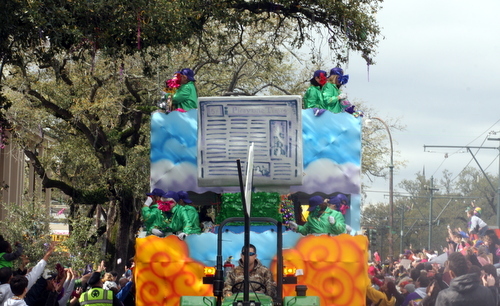 Even though that is my block, I don’t watch the parades there anymore. 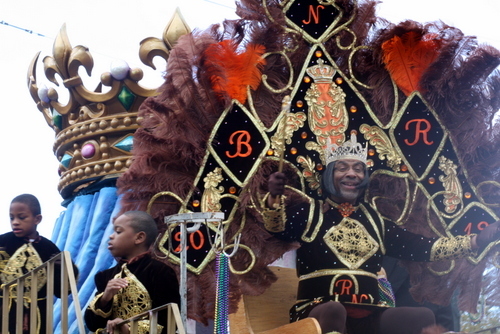 I don’t like the Superior Grill’s Mr. 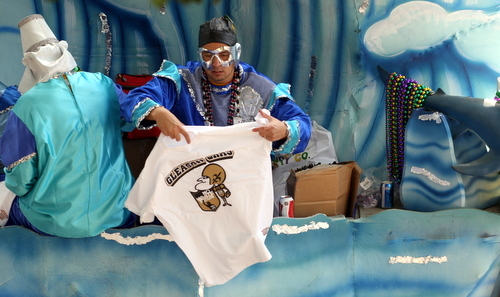 Microphone and I think those frozen drinks are tequila which is not a good drink for most people. 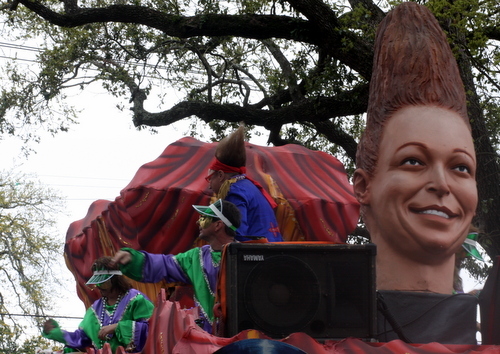 Sorry to hear it has gotten worse. 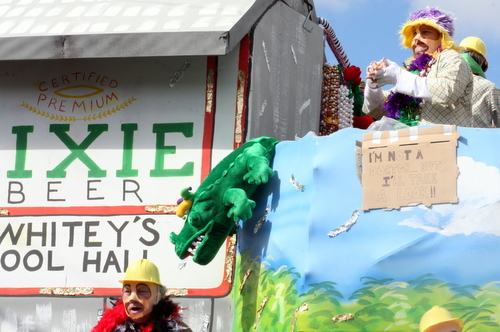 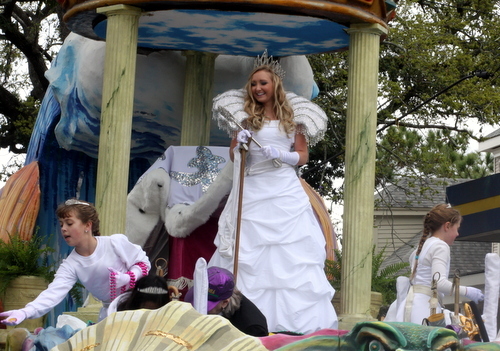 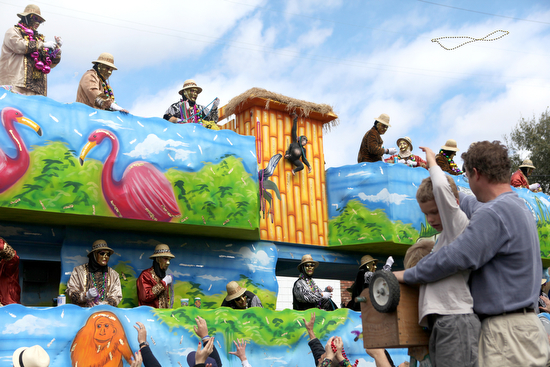 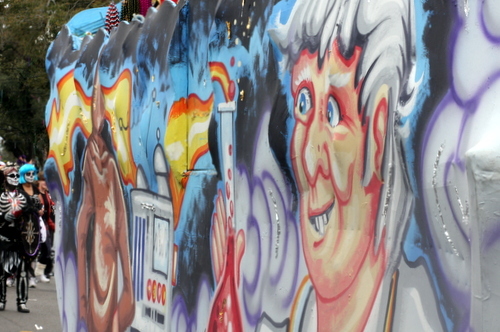 Thanks for the pictures of the floats. 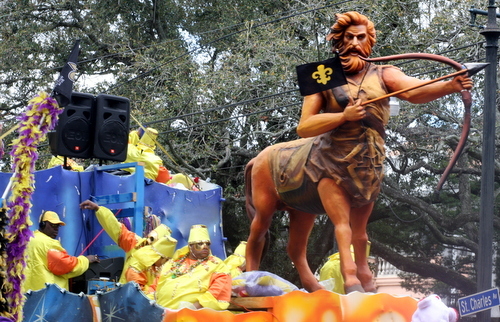 If you don’t have a tent, tarp, lawnchairs and a phalanx of ladders these days you can’t see the floats. 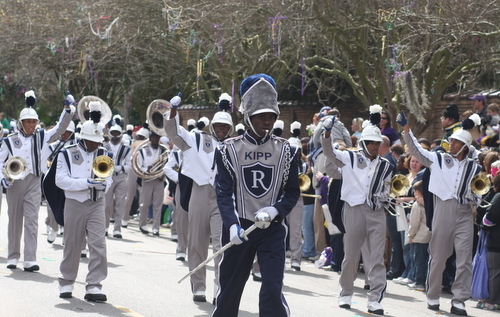 One of the things I love about my neighborhood is the proximity to the route. 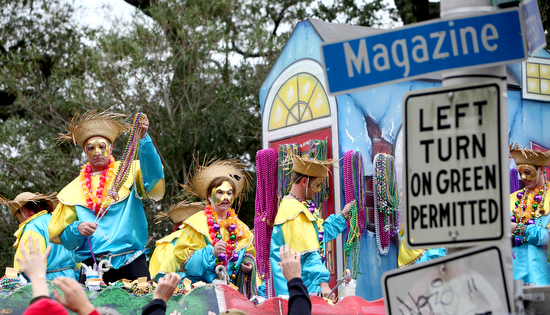 I’m sorry if you chose to move to Metairie or wherever but that doesn’t give you the right to camp out on public property to the exclusion of others. 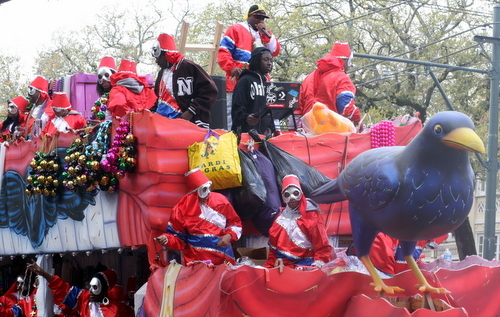 I think its time the nopd rounds it all up before the parades begin. 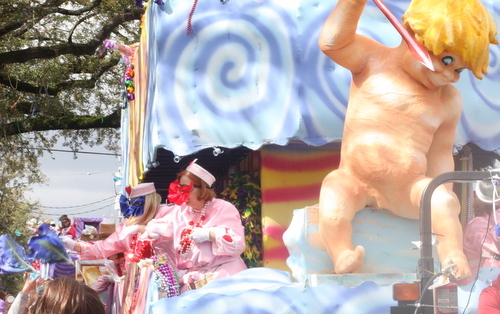 I’m talking shock and awe. 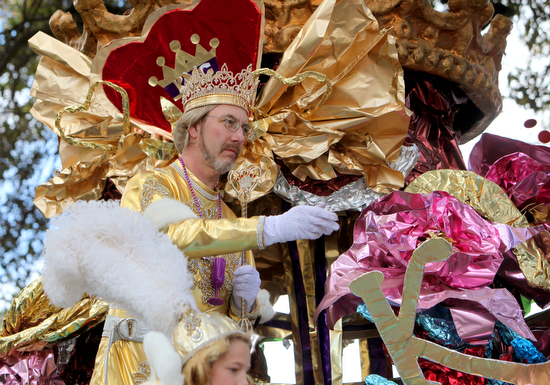 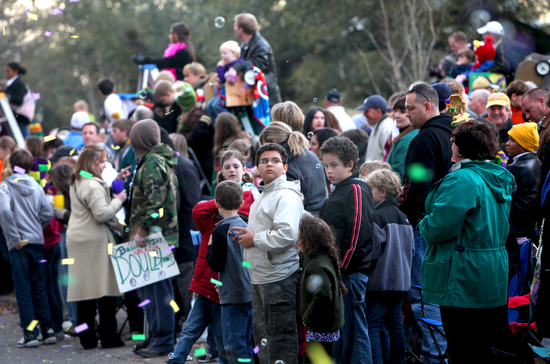 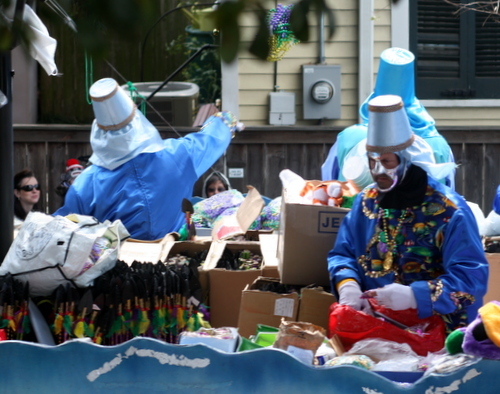 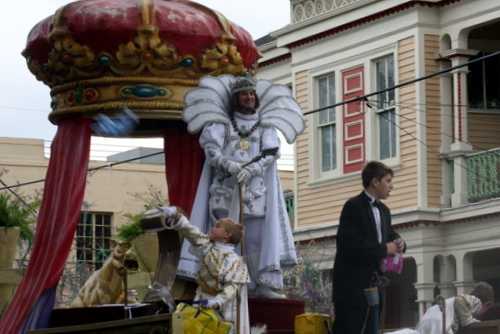 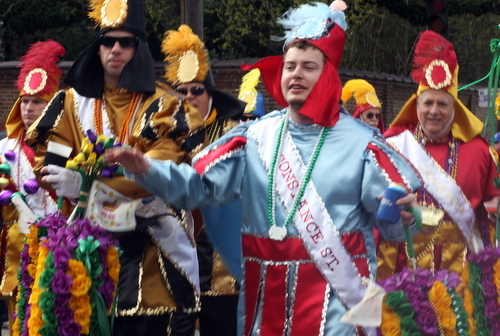 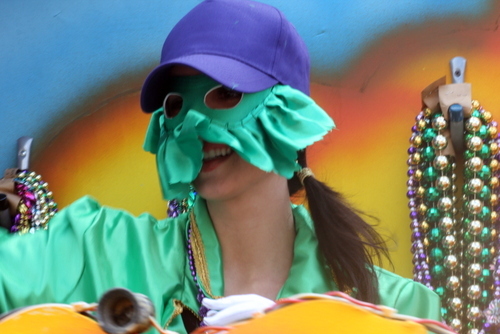 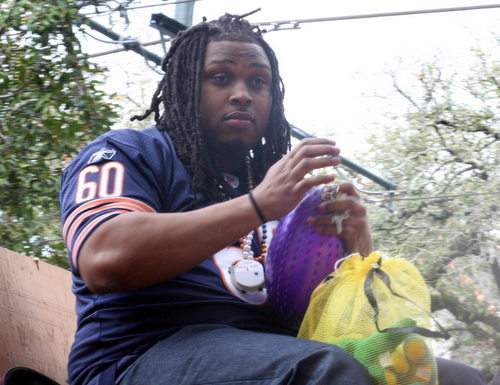 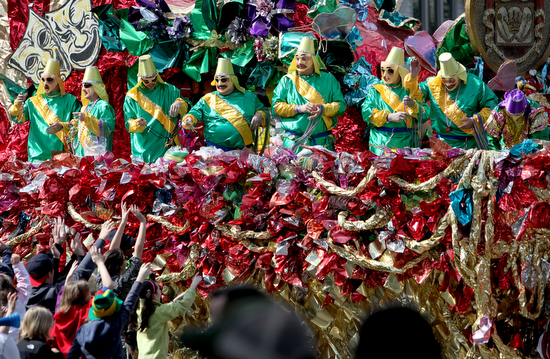 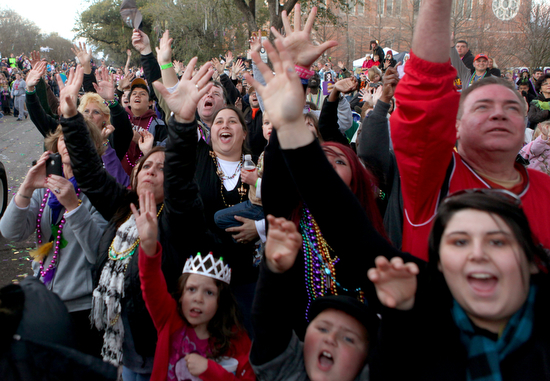 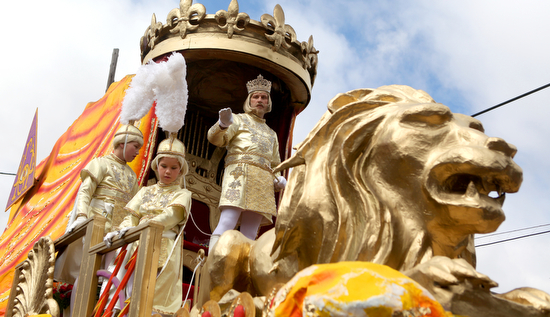 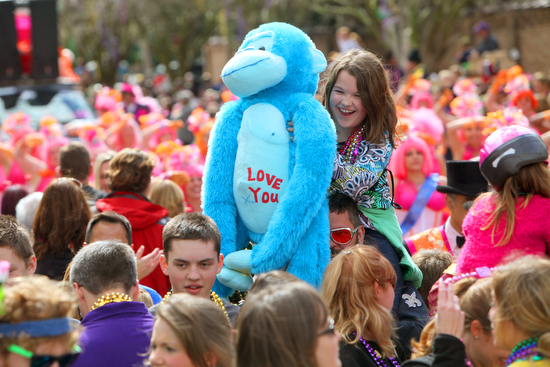 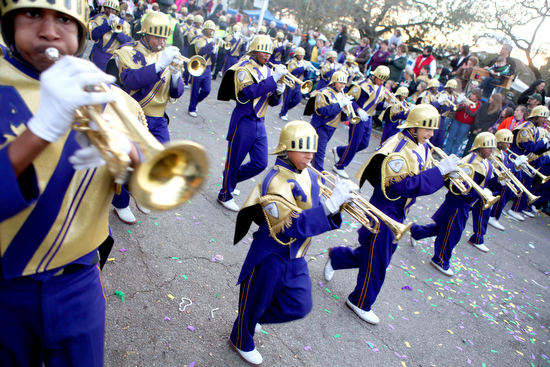 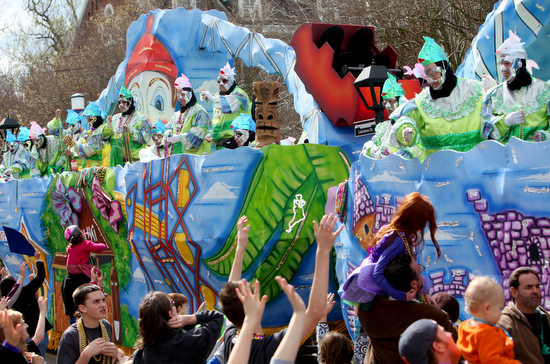 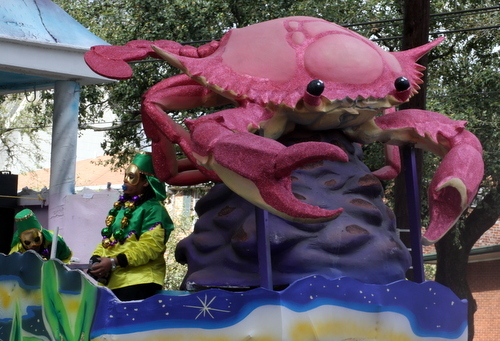 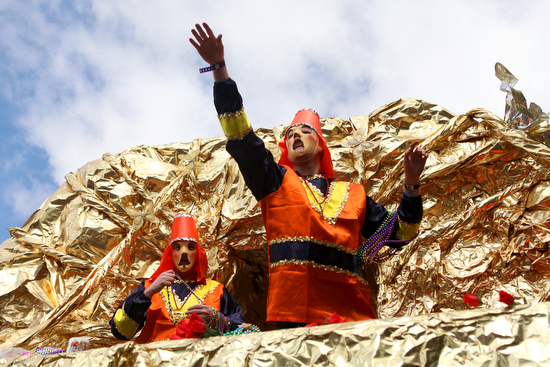 Mardi Gras is losing it’s magic due to the unchecked expansion of this obnoxious tradition!